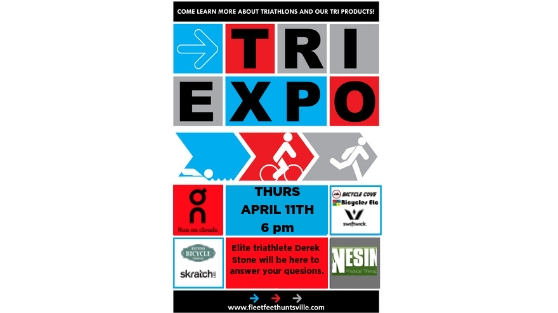 Mark your calendars for our annual Triathlon Expo on Thursday, April 11th at 6PM! ON Running presents Derek Stone for an in person Q&A . Meet elite triathlete and owner of Milestone Racing and a USA Triathlon Certified Coach. He'll be able to speak to what it takes to qualify and compete at the World Championships as well as answer any questions about training, nutrition, race prep, product, etc.